Last Harvest Monday of 2011 and I have a harvest! Posted on December 27, 2011	by Lou Murray, Ph.D. This past week hasn’t been too bad, considering that we left for our Christmas vacation on Monday Dec. 19 and didn’t get back until yesterday, Sunday Dec. 25. I headed straight to the garden in back to see what I could scrounge for our Christmas dinner. We had yaki-soba and a key lime pie. Kinda strange, but that’s what the harvest yielded. Our travels took us to Albuquerque to see the candelaria on Christmas eve and to get in some winter birding/photography. We arrived just as their major winter snow storm was starting, but by constantly monitoring the weather channel on my iPad and planning accordingly, we were able to dodge the bullet on bad weather. I took 900 pics, and will make a post on our trip after I process the photos. That’s going to take some time. My community garden plot is looking sad. The nice redwood borders have been removed, as per the new garden rules. The nice green vinyl covered wire fence that kept out the rabbits has been removed, as per the garden committee rules. The plastic chicken fencing was completely ineffective at keeping out the rabbits, so I put up some white trellis fencing, but still haven't finished the job. Meanwhile, back to the garden. My community garden plot gardening area is in the shape of the letter E, with gravel paths. The plot came with compacted gravel since this area had been a parking lot for heavy construction equipment. The kid that I hired to rototill the garden initially didn’t dig very deep, so my plot wasn’t as productive this year as I would have liked. Well, a new season is coming up. 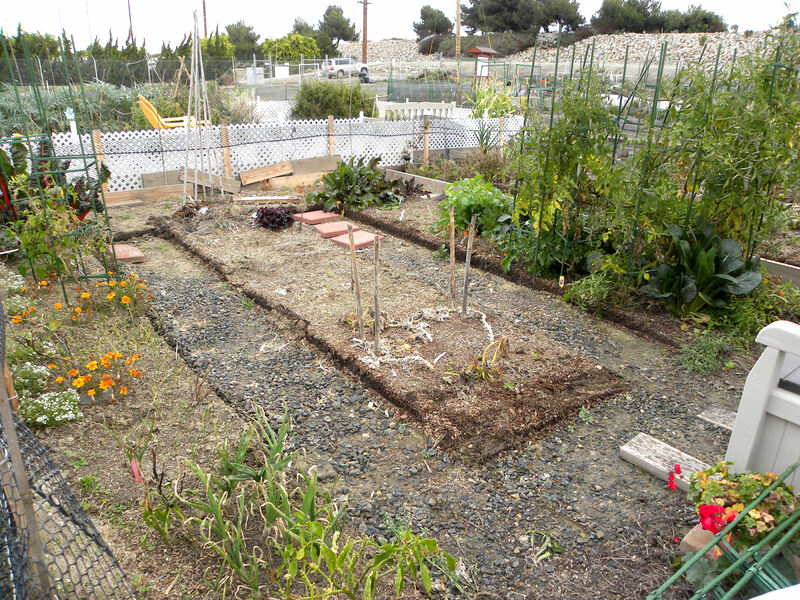 Looking southeast at my community garden plot in December. I still have beets, carrots, chard, garlic, onions, mizuna and komatsuna growing, plus a couple of tomatoes, peppers, and eggplants that I’m going to attempt to overwinter. If we don’t get a frost, they’ll revive come spring. I hope. Because they sure didn’t give me much this past growing season. Avocados take about 10-14 days of sitting on the counter to ripen enough to eat. They don't ripen on the tree. Then it's a race to see if we catch them in time or if they go past readiness. This is the first year than my LittleCado tree has set much fruit, about 20 avocados. Most of the harvest will be in 2012. I need to finish the fencing and put up plastic edging before spading up the soil and adding more amendments. Then I can put in winter crops like broccoli, cabbage, cauliflower, radishes, peas, etc. I have those growing now in my home garden (except for radishes), so those would be a second or third crop for me. Surprisingly, I had two late eggplants in my garden. I put this one in a yaki-soba stirfry last night. Here is what I harvested from my home garden this week. 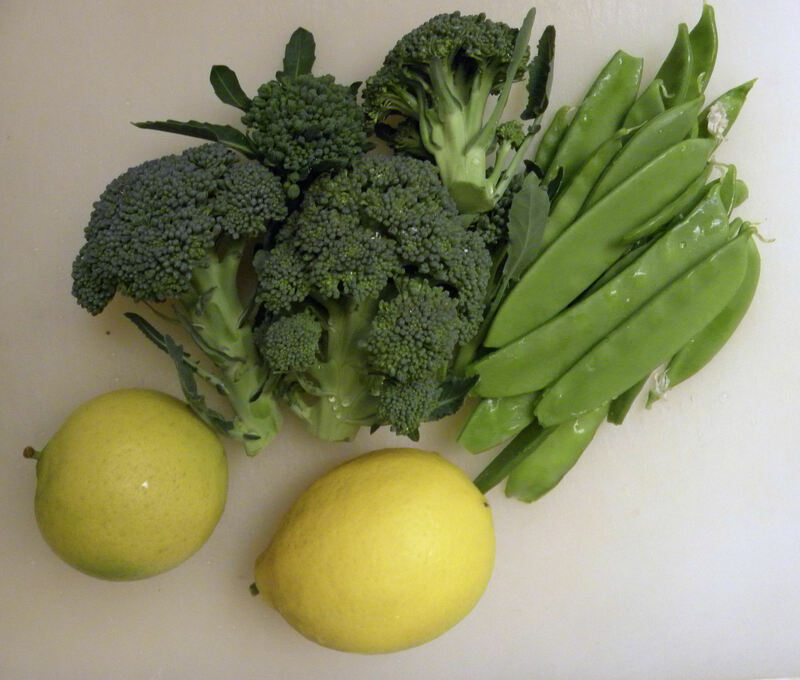 Yesterday's harvest included a lime and a Meyer lemon that went into a key lime pie, plus broccoli and snow peas that went into the yaki-soba. That was our Christmas dinner after getting back late from the airport. Hey, that’s not bad for late December. After Dec. 31, I’ll add up my total harvest for the year. It’s going to fall far short of my goal. There’s always next year. To see what others are harvesting, visit Daphne’s Dandelions. This entry was posted in Uncategorized and tagged avocados, community garden, Harvest Monday, Huntington Beach Community Garden. Bookmark the permalink. 13 Responses to Last Harvest Monday of 2011 and I have a harvest! 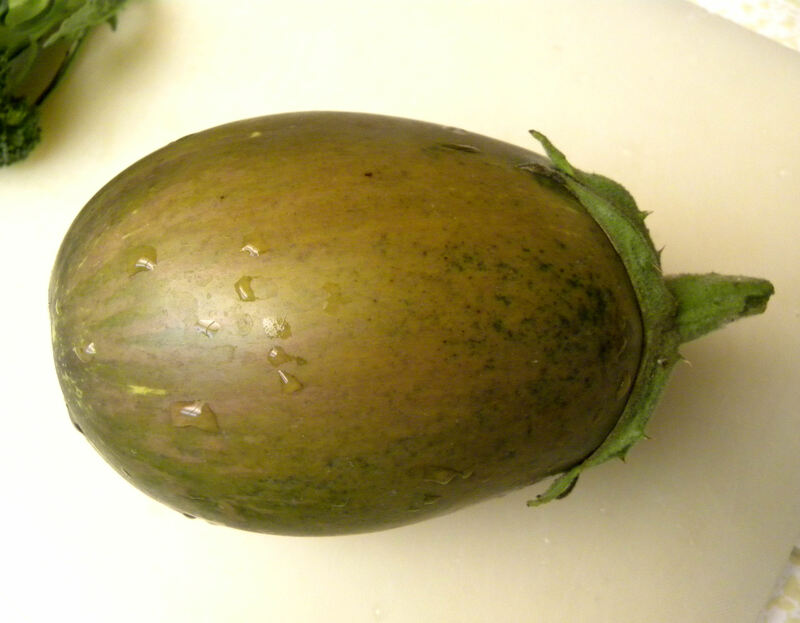 I’m always surprised by how hardy eggplants can be too. Those avocados look great. Liz, those poky avocados are just now turning ripe. This time of year I love seeing your garden. I made some Lemon ice cream from Meyer Lemons I found at Trader Joe’s. Dear heavens was that good. I hope your enjoy your pie, that’s also a favorite of mine! Happy New Year to you! Ali, great idea. I’ll have to try making some lemon ice cream or sherbet. The temps are going to be in the 70s all week here in sunny southern California, so it isn’t too out of season. Once I grew eggplants in pots and brought them in when the freezing started. They finished growing the fruit that was on them, then look very sad so I pruned them back and in spring when the days got warmer and longer they began to produce again. I’m going to try that again this year. Mary, interesting that you can overwinter eggplants indoors. I still have three eggplants on the vine, as it were, awaiting harvest. What’s with all the rule changes at the community plot? I could kind of see a conformity requirement for fencing just to keep the place looking tidy – but the bed edging ban? What is that about? Nice harvest for late December! Glad you made it safely through your travels – sounds like you had a good time. 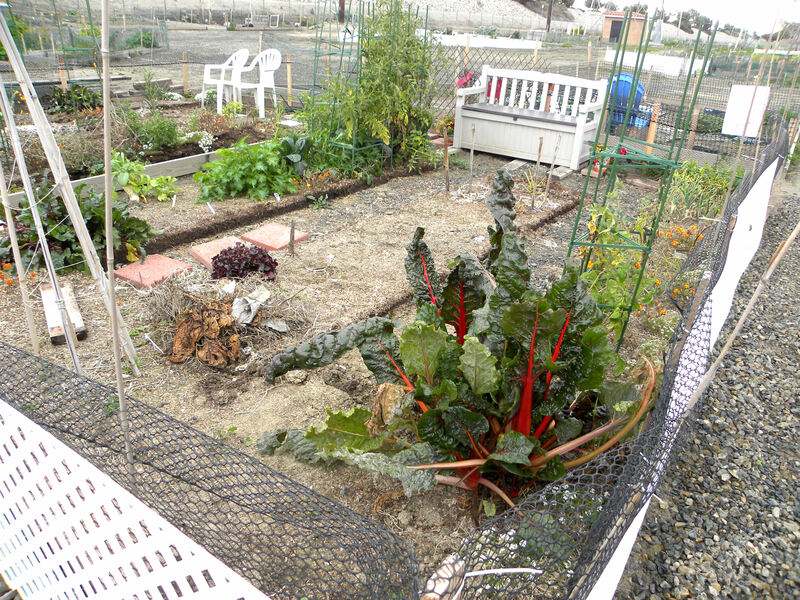 Kitsapfg, the community garden committee is at the mercy of the landowner, Edison. Because of the power lines, they say was can’t have any metal. I thought vinyl covered metal would be OK, but they nixed that too after I had bought it and put it up. The plastic chicken netting that was recommended turned out to be ineffective at keeping out bunnies, so the plastic trellis was then approved. It works. As for the bed borders, I think we are being jerked around. The original rules said that we could have raised beds as long as they were no higher than the outer bed borders. Edison is allowing the outer borders, but nixed the inner bed borders, saying that if a power line comes down their trucks wouldn’t be able to drive over our gardens. And yet they allow the outer borders. It makes no sense. But if we don’t comply, we get kicked out. Bottom line is that I spent over $1600 on materials for my new plot, most of which I can’t use there. Can’t tell you how angry that makes me. Beautiful harvest. I so love avacados. Some things I really miss being able to grow in the colder climate. I’d love to grow lemons too. Nice looking chard in your community plot. What should one look for when selecting avocado in the food market? I never know what I am doing. What an amazing harvest! That’s quite a haul!!! Lynn, Bee Girl, Daphne and Norma, thanks. 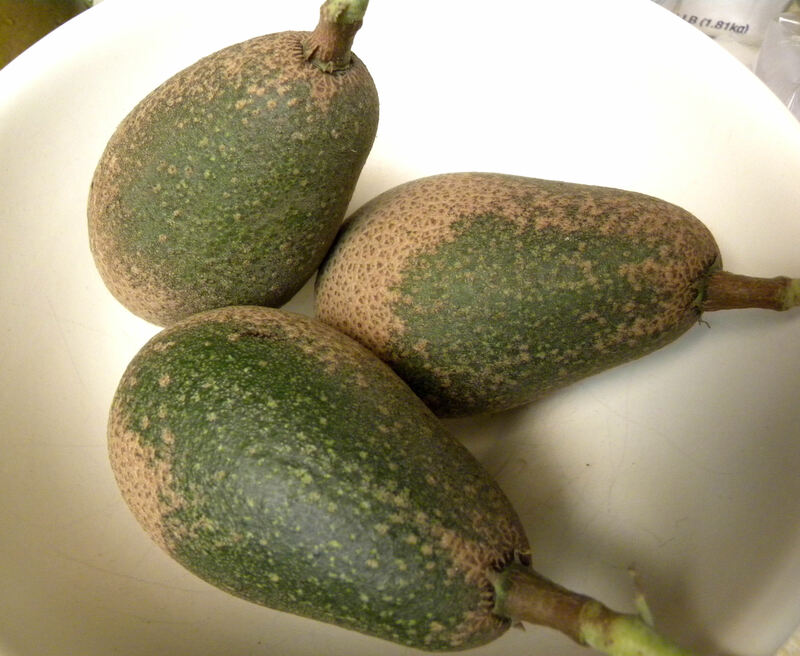 As for avocados, I look for ones that are just turning soft, but not too soft, so they only need a couple of days of ripening. Hard ones are fine too, they just take longer to ripen.